Anna Hansen's dreamy chocolate and caraway tart recipe stays true to her trademark fusion style and is inspired by her family's Danish heritage, as she explains: "My Great Auntie grew up on large farm in Gram, Denmark. It was a large country house where all the ladies of the family were well-versed in cooking with local ingredients. They used to pickle rhubarb, using caraway as one of the aromats. 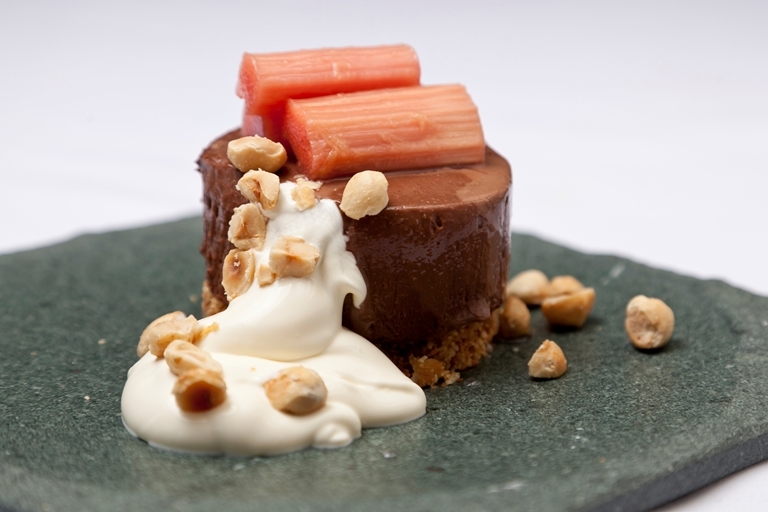 So the inspiration for using rhubarb with chocolate and caraway came from this."